Colma's best option for late-night dining, Café Colma has become the spot for the young and hip to travel to for a bite of delicious food after an exciting night of dancing and partying. Keeping its doors open around-the-clock and churning out delicious and affordable dishes of authentic Chinese, Vietnamese, Filipino and American food from its extensive menu, Café Colma is a terrific choice any time of day, any day of the week. With a space large enough to accommodate large parties, but a wait staff that maintains the intimate feeling of a mom and pop eatery, any time is the right time for your next visit. 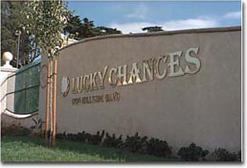 © Copyright 2019 Lucky Chances, Inc.